MONTREAL, QC – Montreal breweries Les Brasseurs RJ and McAuslan Brewing have jointly announced that the former company has taken full ownership of the latter, in a deal that will see McAuslan founders Peter McAuslan and Ellen Bounsall leaving the company. The partnership between the two companies extends back to 2008, when RJ purchased a 46% share in McAuslan from Moosehead Breweries. 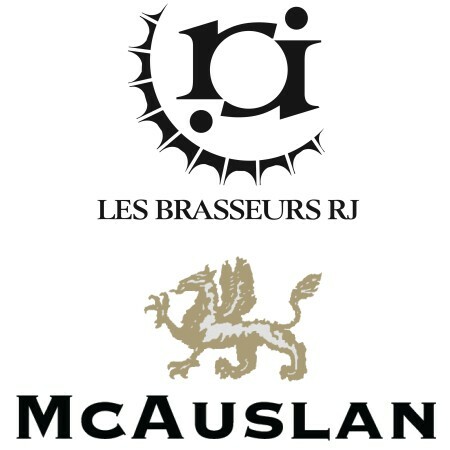 With this new transaction, RJ is purchasing all remaining shares from majority shareholders McAuslan and Bounsall, adding McAuslan to a portfolio that also includes Belle Gueule, Le Cheval Blanc and other brands. Financial details of the transaction have not been disclosed. So full of crap. Countless times RJ has diluted the beers acquired through new acquisitions to render them bland. Same will happen here. They look for profits mainly and not full customer satisfactions. This is why so many newer and smaller breweries are gaining so much popularity… and market shares. What an odd thing to say. Don’t you think that customer satisfaction would be one of the main drivers for a profitable company. Your comment reminds me of an old Yogi Berra comment – “No one goes to that restaurant anymore because it’s too crowded”.